The laundry at one of the Four Seasons Hotels will generally undertake 45-50 wash cycles per day. By using Triple7 Safewash Plus the hotel has been able to eliminate harmful chemicals that were damaging the Sewerage Treatment Plant (STP) Systems as well as save thousands of dollars per month on power. The hotel has also found that previously difficult to remove stains are removed with the organic Triple7 chemistry. What’s more, this gentler wash cycle will extend the life of the garments. By substituting caustic laundry products with Triple7 Safewash Plus, the Four Seasons Hotel protects the laundry staff from hazardous chemical exposure as the Triple7 product is non-toxic and low allergic. The Four Seasons Hotel has experienced large cost savings by using the Triple7 Safewash Liquid, through reduction in inventory required, wastewater treatment costs, and dramatically reduced power consumption due to reduced water treating requirements and a lower temperature wash. Reduced inventory with the use of only two laundry chemicals in lieu of the five to seven products required by traditional suppliers, is a result of an innovative breakthrough in laundry wash formulations that eliminate the need for added sours and softeners, and only a limited bleach addition on some wash loads. One particular Four Seasons Hotel undertakes 45-50 wash cycles a day. At 40kg per wash load this equates to around 1800-2000kg of laundry per day. These loads use a minimum temperature of 70°C with a cycle length of 90-120 minutes, using 400 litres of laundry product per month. The cost associated with this cleaning regime is immense. The other issue the Hotel is faced with is the Chefs garments, table cloths and napkins. There is a significant level of curry and grease stains and carbon build-up due to the nature of their usage. These types of stains are difficult to destroy. The current process and products used are harmful to the environment and particularly to the sewerage treatment plant Systems. How do you cost effectively launder 2000kg per day, achieve satisfactory cleaning results and protect the environment by reducing power usage and reducing toxic chemistry in wastewater? In order to achieve high performance cleaning most chemicals in use today are selected for their powerful action. Unfortunately this power is rarely confined to the desired cleaning effect and inevitably produces a range of other undesired or harmful side effects. Huge amounts of power was used in the laundry to run the industrial machines costing the Four Seasons Hotel thousands of dollars a month. The caustic based laundry wash chemical being used shortened the life of garments and caused undesired allergic reactions to some staff. Triple7 Safewash Plus Liquid was substituted in place of the current laundry product. Triple7 Safewash Plus Liquid is a high performance, concentrated plant based laundry wash containing all natural ingredients. It leaves fabrics soft, clean and odour free without any harsh or toxic chemicals or fillers. Triple7 Safewash Plus is hypo-allergenic in nature and less likely to cause unpleasant allergic reactions. Triple7 Safewash Plus is free of phosphates, it has a low salt loading and is gentle on garments. The product contains natural whiteners and can improve the quality of grey water. There is no need to use fabric softeners. Triple7 products achieve optimal cleaning performance at 40°C rather than the 70°C minimum required by conventional laundry chemicals. This dramatically cut power consumption costs. Four Seasons Hotel confirmed that they are saving $5,000 USD per month at a 60% occupancy rate, and up to $10,000 USD per month with full occupancy on power savings alone, by having the laundry running at a lower temperature. 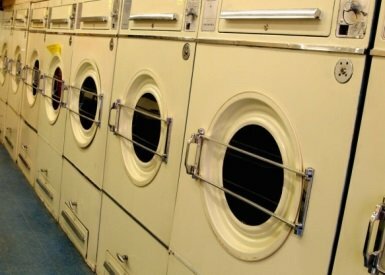 Further cost savings are a result of reduced amounts of laundry product required, The Hotel now use 75-100 litres per month of Triple7 Safewash Liquid, where they were previously using 400 litres of laundry product per month. Using Triple7 Safewash Plus Liquid has also increased the productivity, which is due to the relatively shorter wash cycles (40 minutes instead of 90-120 minute cycles).